Product #20618 | SKU 1SKB-RCB | 0.0 (no ratings yet) Thanks for your rating! 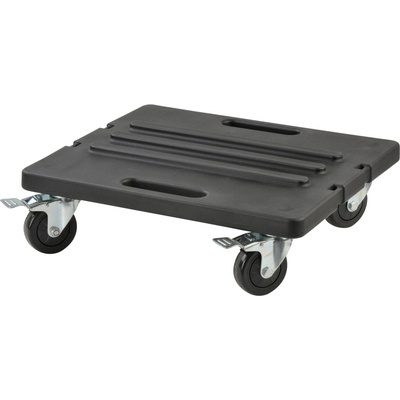 The 1SKB-RCB Roto and Shallow Rack Caster Platform from SKB is a roto moulded caster board with 4" locking wheels for stacking and moving SKB's Rot Moulded cases. It includes cinch straps that secure to the side handles for stability. In addition, it is compatible with the Roto Rack Series and the Shallow Roto Rack cases.